Thomas Fruits et Légumes is a family owned and operated business, with many Argiris family members employed in various tasks of the operation and thereby proficiently providing, from their expertise and many years of experience in the produce trade, its sturdy backbone and hard working principles. 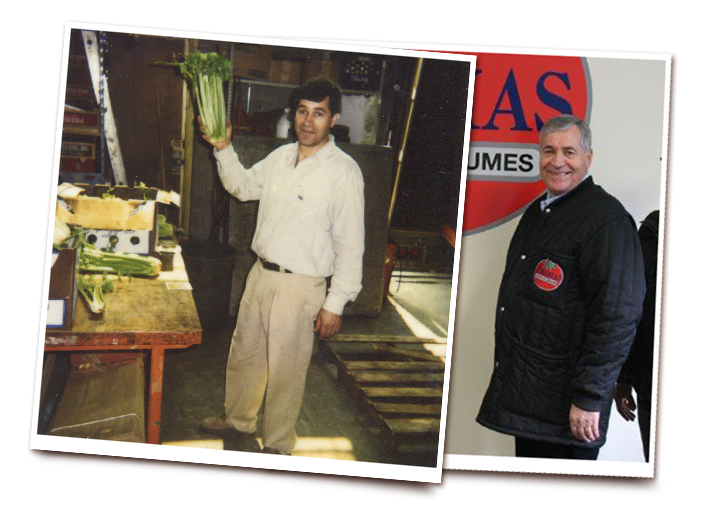 Thomas Fruits et Légumes carries a complete and diverse product line of fruits and vegetables, from all across the world. The broad range of products available at Thomas Fruits et Légumes arrives daily, from Canadian growers and the harvests of such countries as: Mexico, Chile, Argentina, Brazil, Belize, Peru, Caribbean, Central America, South Africa, Spain, Morocco, Italy, Greece, France, Holland, China and many more. © All content part of this website is owned and controlled by Thomas Fruits et Légumes.